MENTION of Chicago as a literary center recalls to the average mind Eugene Field, Finley Peter Dunne, George Ade, and perhaps Opie Read. Rex Beach, it will be remembered, began his literary career while he was a law student in Chicago. Such later writers as Carl Sandburg and Sherwood Anderson will be added to the list by way of afterthought. Even the native Chicagoan, who prides himself in the achievements of his city, has only an inadequate idea of the importance of Chicago in American literature. It is an amazing fact that Chicago has produced more writers, especially those who have molded the new indigenous American literature of today, than any other city in the country. These writers are not merely popular novelists, of which Chicago has its share, but are creators of genuine significance. Their influence is felt throughout the nation. True, not all of them have drawn on the Chicago scene for inspiration, but the prairie metropolis has been their common meeting ground, providing them with the stimulation which comes from contact with others as brilliant as themselves. Writers who have interpreted Chicago life alone have contributed ah most half a hundred books, mostly novels, which express the struggles and conflicts, the sordid materialism, the melodramatic climaxes, or it may be the lyrical dreams, of this still youthful, energetic city. The majority of these books are of more or less permanent value to our native literature. Not a few have helped establish what has come to be known as the new American language as distinguished from the Queen’s English. In short, portraying life in what H. L. Mencken said was “the most thoroughly American of American cities,” these works may indeed be taken as cross-sections of life in the United States. Chicago’s position as a producer of significant literature came prominently before the public in 1920 when Mencken wrote an essay on the town in which he called it “the literary capital of America.” He told about the vital writers of the city’s first Golden Age of letters, which occurred in the ’90’s—Theodore Dreiser, Henry B. Fuller, George Ade and Frank Norris. 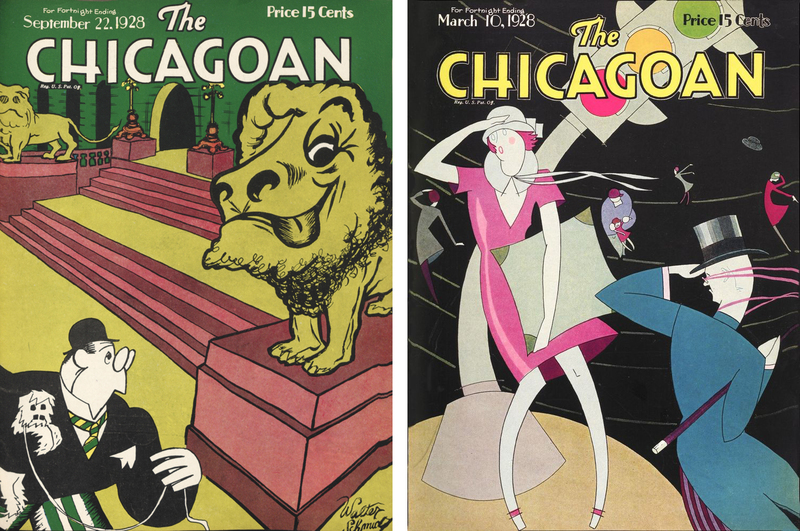 All four wrote about Chicago as they saw it—Dreiser in “Sister Carrie”; Fuller in “The Cliff Dwellers”; Ade in “Fables In Slang”; and Norris in “The Pit.” There were other important writers of this period who also wrote about the city—Hamlin Garland in “Rose of Dutcher’s Coolly”; Finley Peter Dunne in “Mr. 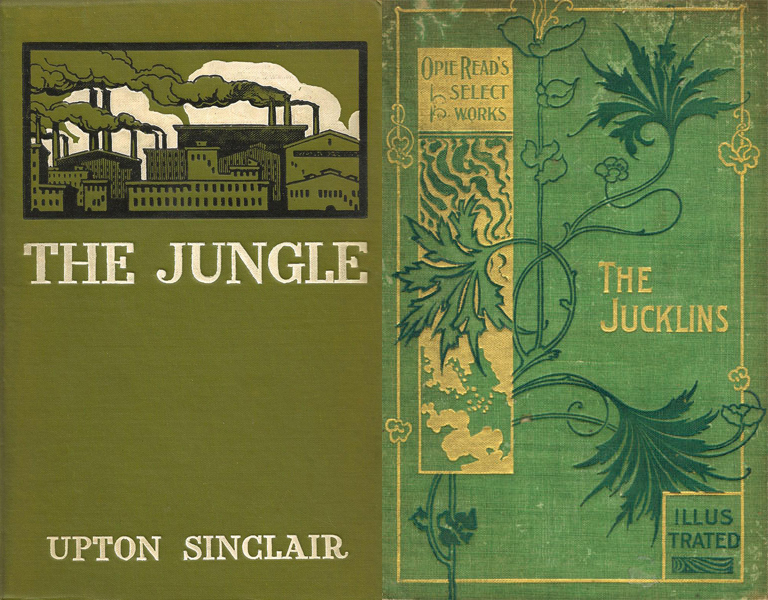 Dooley”; Robert Herrick in “The Common Lot”; Upton Sinclair in “The Jungle”; and Frank Harris in “The Bomb.” Opie Read in “The Jucklins” pictured mid’western life. In Chicago there is the mysterious something that makes for individuality, personality, charm; in Chicago a spirit broods upon the face of the waters. Find a writer who is indubitably an American in every pulse-beat, an American who has something new and peculiarly American to say and who says it in an unmistakably American way, and nine times out of ten you will find that he has some sort of connection with the gargantuan abattoir by Lake Michigan—that he was bred there, or got his start there or passed through there in the days when he was young and tender. In 1926, however, Mencken changed his mind. He looked out of his Baltimore study and saw no new significant figures rising on the Chicago horizon. Samuel Putnam, a local literary critic who had a leaning for all the latest European “isms,” agreed with him. The result was an article in The American Mercury called “Chicago: An Obituary,” by Samuel Putnam. Mr. Putnam, after reviewing its past achievements, pronounced the town dead; said it was “esthetically and creatively, a cactus desert.” He then flew to his beloved Paris. But the town continued to turn out writers of first-rate caliber. Ernest Hemingway was a Chicago product and some of his short stories, particularly “The Killers,” reflect the city’s hfe. John Dos Passes was born here and his novel, ”Eveline Hutchins,” published in Pagany magazine, is a Windy City story. Edna Ferber, a former Chicagoan, used local material in her novel, “So Big.” Elizabeth Madox Roberts, Janet Lewis, Glenway Wescott, Yvor Winters, and Marjorie Latimer, all now doing significant novels and short stories, were stimulated by contact with each other in Chicago. 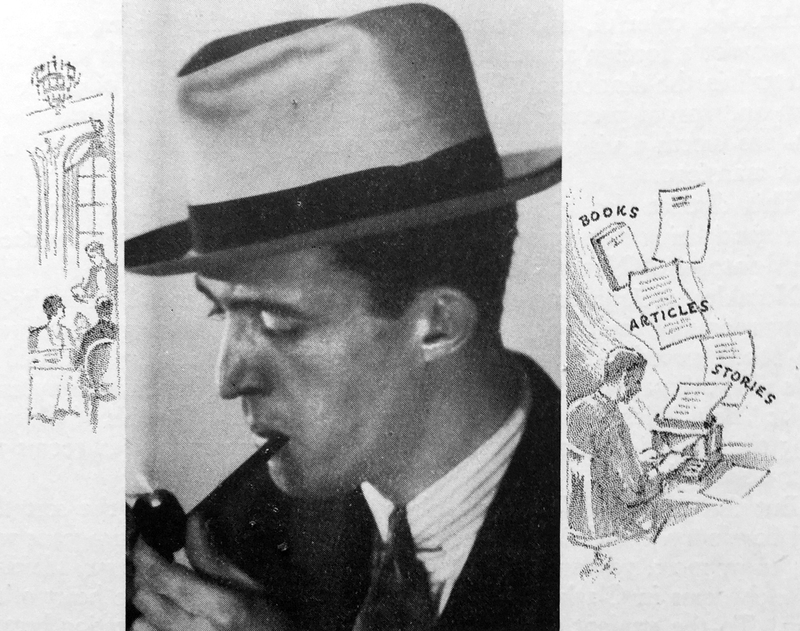 Younger writers came along and pictured the city around them—Meyer Levin in “Frankie and Johnnie”; James T. Farrell in “Young Lonigan”; McKinley Kantor in “Diversey”; Lester Cohen in “The Great Bear”; Robert D. Andrews in “Windfall”; Ruth Russell in “Lake Front”; and John Gunther in “The Red Pavilion. As for poetry, Chicago has been the nation’s Parnassus for many years. 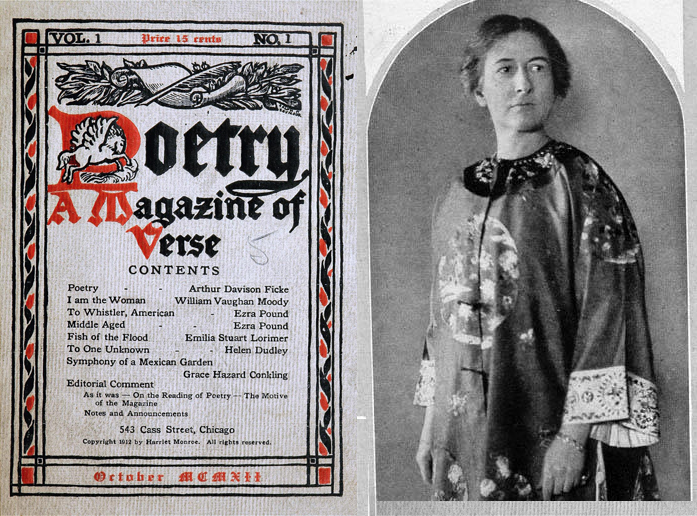 Miss Monroe’s Poetry magazine, as much as the influence of Whitman, was responsible for a poetry revival in 1914 which extended throughout the Anglo-American world. The work of outstanding figures in this revival is represented in “The New Poetry,” an anthology compiled by Miss Monroe and Alice Corbin Henderson, and it includes such poets of Chicago as Carl Sandburg, Edgar Lee Masters, Maxwell Bodenheim, Mary Aldis, Alice Corbin, Florence Kiper Frank, Hamlin Garland, Harriet Monroe, Helen Hoyt, Agnes Lee, Vachel Lindsay, Frances Shaw, Eunice Tietjens, and Edith Wyatt. A few years back Charles G. Blanden brought out his “Chicago Anthology,” but the work represented was of no great moment. William Vaughn Moody, Eugene Field, Ben King, John Vance Cheney, Bert Leston Taylor, Franklin P. Adams, and Horace Spencer Fiske. Further evidence of Chicago’s continued position as a literary center is seen in the fact that The Midland magazine is published here. It is rated by Mencken and Edward J. O’Brien, of “Best Short Stories” fame, as one of the few outstanding literary magazines of America. Each month its editor, John T. Frederick, brings forth some new and talented young writer, either from Chicago or other parts of the mid-west. There is also The Chicagoan, a sort of local Vanity Fair, which has a number of worthwhile contributors. Chicago has turned out writers who have paved the way toward what there is of an American language. Ade began it in 1902 with his Chicago books, “In Babel” and “Fables In Slang.” Ring Lardner, a local reporter, followed suit with his “You Know Me, Al,” as did John V. A. Weaver, with his “In American.” The Big Shots of the city’s second Golden Age—Sandburg, Masters, Anderson, Hecht—all made use of the American language, and so did J. P. McEvoy in “The Potters” and Farrell in “Young Lonigan.” And there were the dialect writers—Dunne, making use of the Irish-American, and Frank Pixley and Kurt M. Stein, both using the German-American idiom. Today, the University of Chicago has officially taken cognizance of the American language, having brought over Sir William Craigie, the maker of the Oxford dictionary, to compile the first dictionary of our native tongue. The University has already put out an American translation of the Bible. The city’s newspaper life has of late been a fruitful source of inspiration to many local writers. It all seemed to begin with Hecht’s “1001 Afternoons in Chicago,” a volume of short stories gleaned by a wandering reporter. Other books on the same theme followed in rapid succession—Henry Justin Smith’s “Deadlines”; Meyer Levin’s “Reporter”; Hecht’s “Erik Dorn”; and the Chicago newspaper dramas, Hecht and MacArthur’s “The Front Page”; Maurine Watkins’ “Chicago”; and Bart Cormack’s “The Racket.” Some what earlier than any of these books, however, is “The Briary Bush,” by Floyd Dell, which detailed the career of a young reporter in the town. John Drury, newspaper man, poet, author of “Chicago In Seven Days,” “Dining In Chicago” and of the official Century of Progress guidebook to the city, was born in Chicago on August 9, 1898, the son of Michael and Mary (Sullivan) Drury. He graduated from St. Andrew’s Roman Catholic School, where he was known as a talented artist. While still young his father, a street car conductor, died. At the age of fourteen he became interested in literature and has been writing ever since. After attending Nicholas Senn High School for two years, he was forced to leave in order to help support his mother and two sisters. He worked in drug stores, factories, bookshops, and department stores and continued his education at Lane Technical Night School. While working in the book section of Marshall Field & Company he wrote book reviews for the Chicago Daily News and the Chicago Evening Post. During the World War he served on “home guard” duty with the 11th Regiment, Illinois National Guard, under the late Brigadier-General James E. Stuart. Later he became an active member of the poetry renaissance of the 20’s, his verse appearing in the numerous poetry magazines of the period. This was later collected in a volume called “Arclight Dusks.” After knocking about the world as newspaper man and sailor—Mexico, Brazil, Argentina, Canada, London, New York and Los Angeles—he settled down in his home town, feeling that romance can be found at one’s door. His guidebooks to Chicago followed. He worked on the City News Bureau and then joined the staff of the Chicago Daily News. He is a member of the Midland Authors and at one time was Hbrarian of the Press Club of Chicago. He is married to Marion Neville, daughter of the late James Tilford Neville, veteran circuit court judge of Missouri.